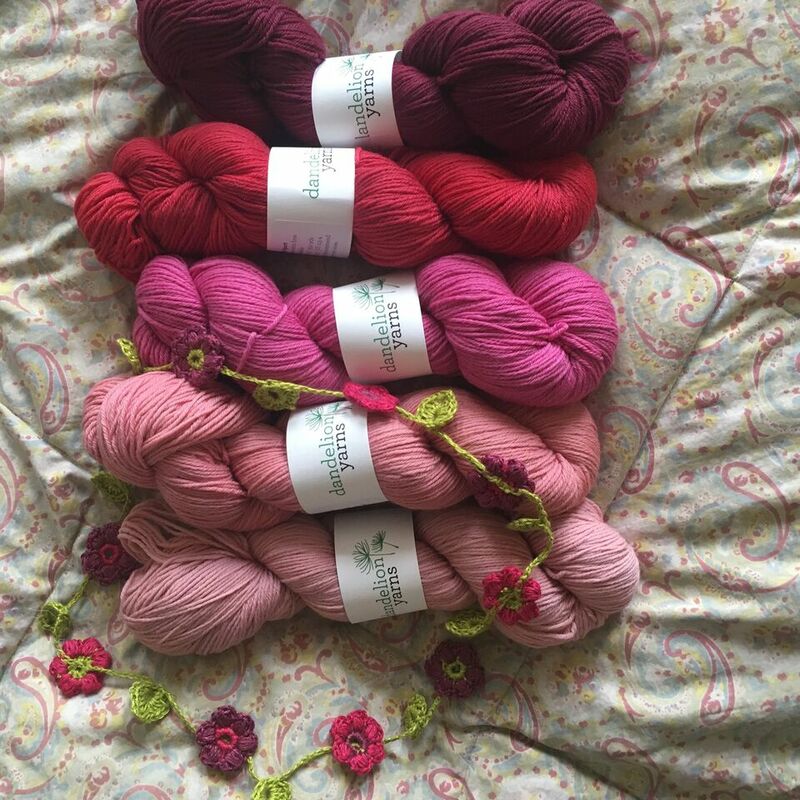 When Dandelion Rosy Sport came to Loop, we got very excited about the beautiful hand-dyed colours of this organic merino yarn. We knit lots of pretty swatches in the “Wandering Leaves” stitch to show off the range of 27 colours! 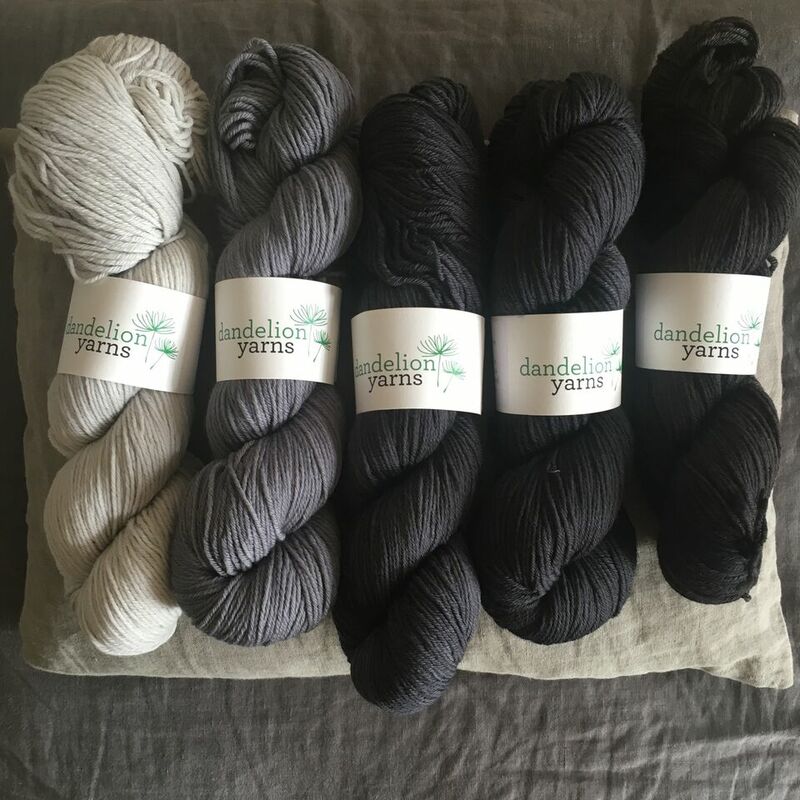 Hand-dyed by Anna Strandberg in Stockholm, Sweden, Loop is proud to be the London stockist of this beautiful yarn. Now we have turned our swatch samples into a free cowl pattern in three sizes! 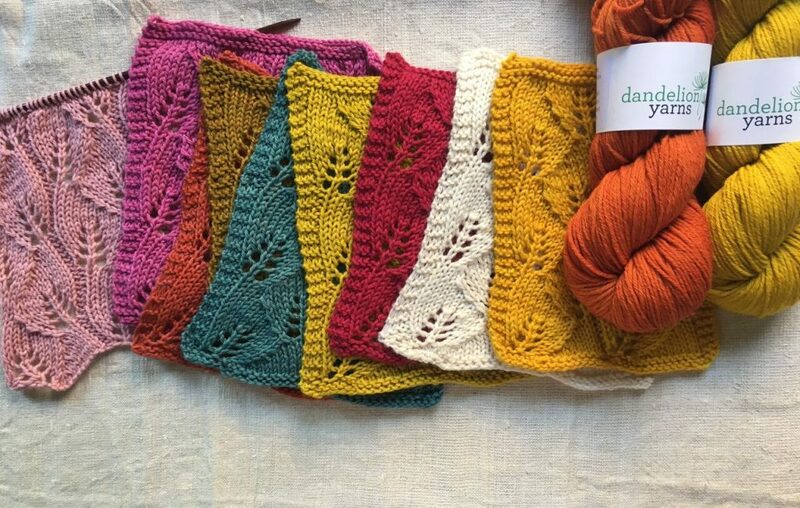 One of our lovely Loopettes, Monica Farragher, turned the swatches into a simple knitted cowl, made from one skein of Dandelion Rosy Sport. Another Loopette, Karin Fernandes sized it up so you have a choice of sizes, each just taking one skein of yarn. It can be made in three sizes, depending on the height and width you prefer. 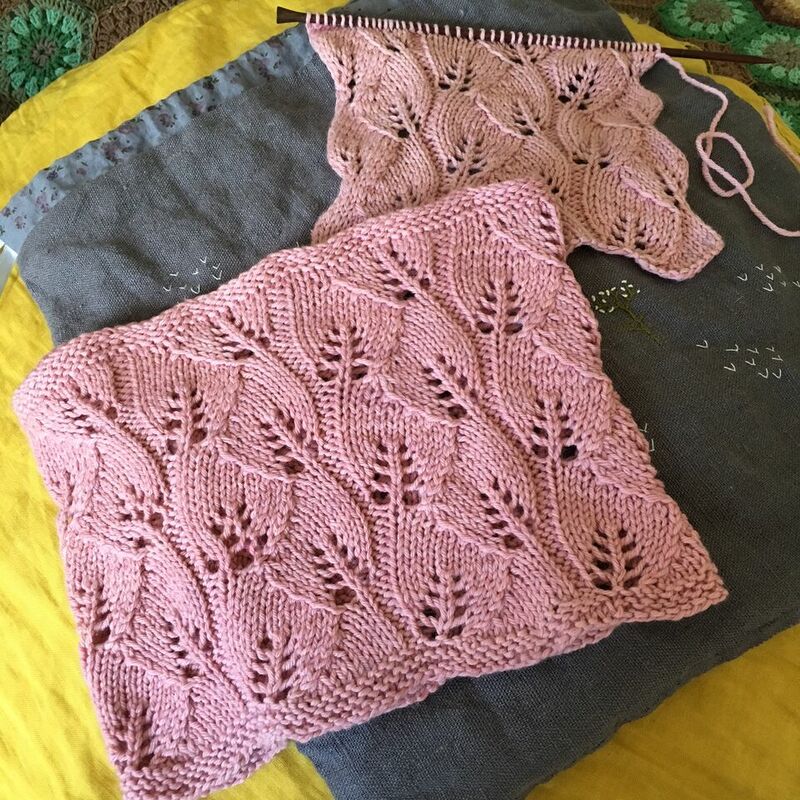 Dandelion Rosy Sport is 100% Organic Merino extra fine wool that is also machine washable. You can read more about it in our earlier blog post here. 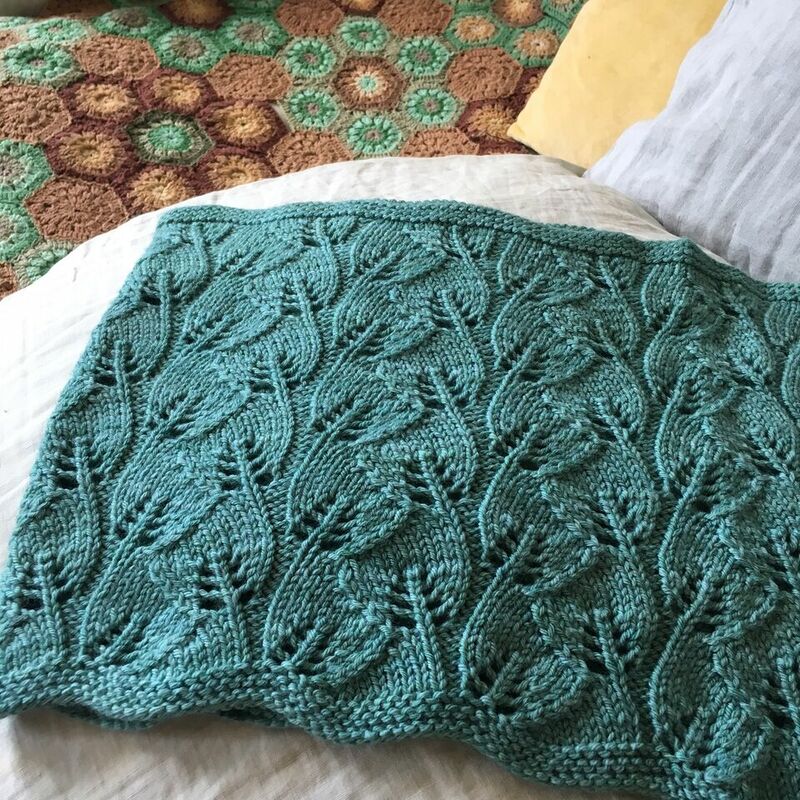 It’s very soft but has a springy, natural feel when knit. Very pleasant for a warm cowl worn next to your neck. The colours are scrumptious, with hints of variegation. The cowl would look great in a warming pink. Or try a neutral grey, for a neck warmer that can be worn with anything. Some of our customers layer cowls with scarves to keep them extra cosy in the winter. We hope you love this free pattern from Loop! You can download the free PDF cowl pattern here! 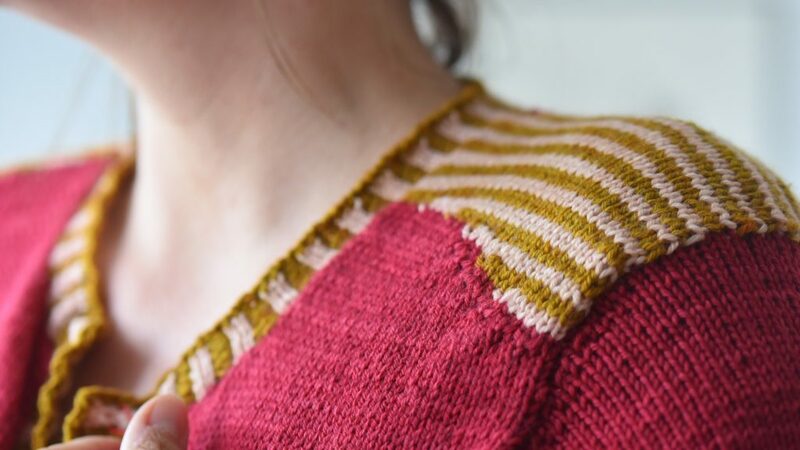 Dandelion Rosy Sport is also featured in the Palmetto Cardigan, designed by Emilia Jensen, in the latest issue of Pompom Quarterly. We offer a kit of the Palmetto Cardigan with 50g balls of the contrasting colours “Powder Cake” and “Dirty Gold” and 3 or 4 skeins (depending on size) of the “Steady Night” blue to complete the cardigan. You save with the kit as you don’t have to purchase two full skeins of the contrasting colours, plus it comes in a Loop cotton shopper bag! Lots of colour variations of the Palmetto are currently being knit. (Everyone at Pompom has one on their needles, all in different colours. The version above is Anna Strandberg (Dandelion Yarns) variation with “Feeling Brave” as the main colour. 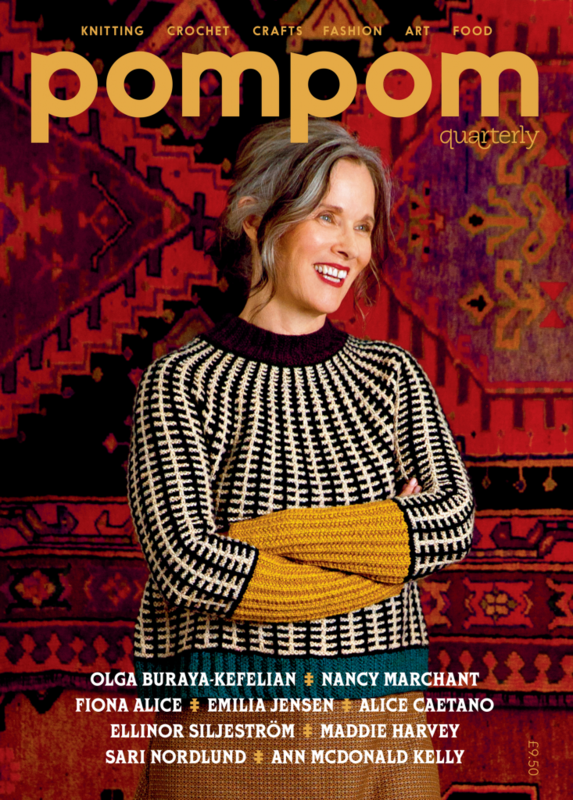 The pattern is available in the latest issue of Pompom Quarterly. I’ll let you in on a little secret. This post is written by Juju Vail (hi there! ), who is also the guest editor for this issue of Pompom. I’m knitting a Palmetto of my own in “Lime House”, “Powder Cake” and “Dirty Gold”. I love Dandelion yarn and I’m really proud of my contribution to issue 22 of Pompom! I would like to verify that it is OK to sell a knitted item from this pattern in order to raise money for a non-profit. You can see my knitting work that is posted on Facebook: Dreaming of a Hand-Knit Scarf. Yes that’s fine Ruth. Thank you for checking and good luck. I have just tried it and the link is fine. Perhaps, try using a different web browser?